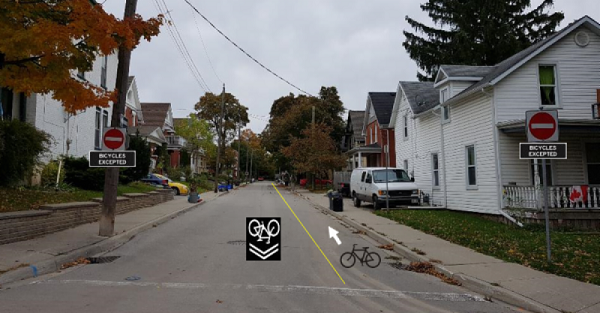 Have you walked about the city and wondered “if only” about neighbourhoods, transit, and zoning? 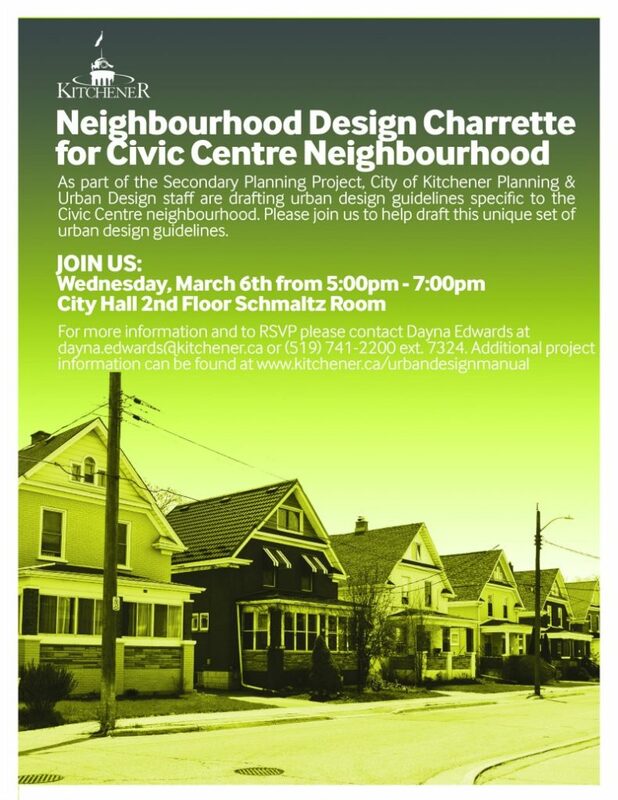 Did you know there is an opportunity for you to make a difference in how Kitchener and your neighbourhood will look in the future? This is your invitation to make that happen! From the time of settlement in the early 1800s, the area that came to be called Berlin and later Kitchener grew quickly thanks to the enterprising founders of what later became the city’s signature businesses such as woodworking, textiles, tanning, rubber, and foundry. 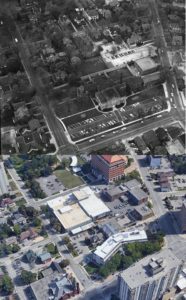 By the late 1920s Kitchener was known as an early adopter of hydro-electricity and had an established and thriving manufacturing factory district. 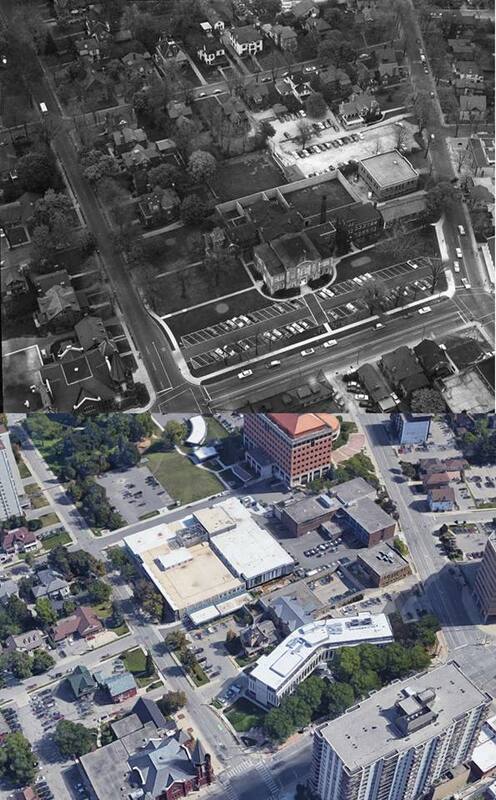 The community was sprawling out from the King Street East-West corridor where the post office, market, city hall, hotels, banking and commerce was located, to the north and south with churches, and the important municipal buildings clustered together near the intersection of Weber and Queen: the Public Library (formerly where 50 Queen St N is located), the County of Waterloo Courthouse, jail and Governor of the Jail residence. What is now Olde Berlin Town neighbourhood was a suburb and home to business owners and prominent residents. Pick any home along the streets in the Civic Centre Heritage District and there’s a piece of Kitchener’s history written in the land title. Every city goes through an evolution as farmland is turned over to industry, shopping malls and housing. However, we are less apt to lament the loss of a corn field in the name of progress than seeing the stately manor home of a community founder torn down. It’s sad to see an entire residential neighbourhood hollowed out, taking with it a physical history of the city. As it becomes more important to consider the impact of sprawl on surrounding farmland, road infrastructure and resources, it’s understood the need for infill density grows. Yet preserving history in a heritage neighbourhood must be a factor in a balanced decision. 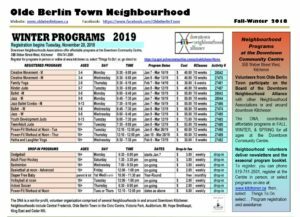 The Olde Berlin Town Neighbourhood Association has invited local historian rych mills to provide a visual walk through the history of the missing ‘other half’ of the neighbourhood followed by a Q&A. Please join us Thursday, November 15, 2018 at 7:00 p.m. – 8:30 p.m. in the Multipurpose Room of the Downtown Community Centre, 35 Weber St W Kitchener. Seating is limited. This Event is posted on our Facebook Page. Voting in a municipal election has the most direct impact on your day-to-day life. From zoning & pedestrian crossings to sidewalk clearing or garbage collection & community trails, where you work, live and send your children to school is where your voice matters most. Unfortunately there’s a great deal of apathy about municipal elections, despite the fact one is electing individuals who will decide local education matters, transportation infrastructure, and how your property taxes are spent. Each and every day, the decisions made by these people affect your commute to work, your child’s experience in the classroom, and how your city is going to look in 20 years. Here is a CBC link that discusses and asks questions to each of the candidates that are running for Waterloo Regional Chair. 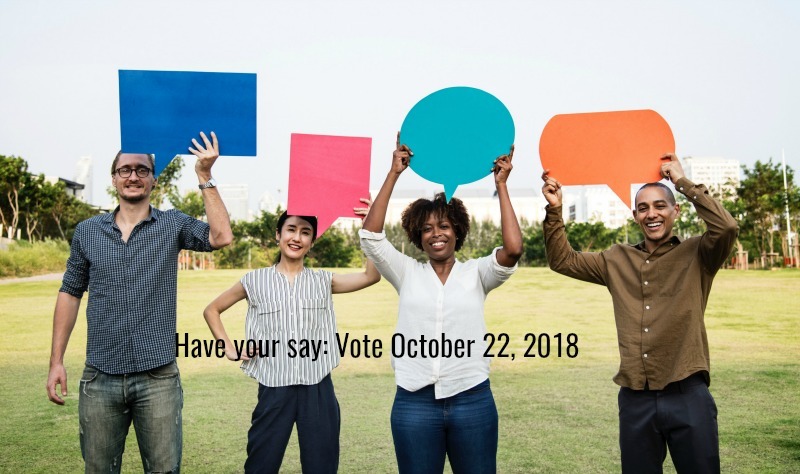 There are four individuals running for Mayor of Kitchener and a Q&A with CBC addresses why they have chosen to run for this position. It’s really difficult to track down information on the candidates for Trustee for the School Boards. One can view the Nomination Forms online (scroll down the page) but there is no position statement or any indication of what the candidate stands for. If you see a debate for school board Trustees scheduled, let us know! Your email and information is only used for the neighbourhood newsletter and upcoming event alerts.